Sika is a leader in processing materials used in sealing, bonding, damping, reinforcing and protecting load-bearing structures. Sika’s product range features high-quality concrete admixtures, specialty mortars, sealants and adhesives, damping and reinforcing materials, structural strengthening systems, industrial flooring as well as roofing and waterproofing systems. Sika is a global company with more than 113 production and marketing subsidiaries in 73 countries. Sika is a company with a strong innovative tradition, constantly striving for new levels of excellence. In 2010, Sika celebrates its 100-year anniversary. 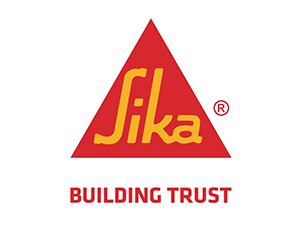 Developing innovative products and solutions and being consistent towards all stakeholders, have made it possible for Sika to grow throughout its first century. Principles of sustainable development play a decisive role at Sika because these principles answer today’s and tomorrow’s challenges. Worldwide presence with subsidiaries in 73 countries and around 12.369 employees (2009) link customers directly to Sika and ensure the success of all our partners. In the pursuit of value creation for all stakeholders Sika achieves annual sales of CHF 4,2 billion (2009).